Specializing in Chiropractic Care treatments for Infants to Seniors. Despite the bombardment of drug commercials on television, people are searching for cures without side effects, therefore a non-drug approach. Reasons for children and infants to see a chiropractor in Raleigh, NC could be for signs such as restricted head movement to one side, difficulty breastfeeding such as preference feeding to one side, flattened head at the back or one side, one shoulder higher than the other, one lower limb longer than the other, disturbed sleep patterns, headaches, scoliosis, recurrent viral infections such as ear infection, colic, reflux and other feeding problems. Also, we treat kids for childhood accidents or falls that concerns the parent and injuries from heavy schoolbags and postural pressures of the internet age should not be ignored. The list is very extensive. The main focus of a chiropractic practice is not specific conditions but the functional integrity of the neuromusculoskeletal system. From the layperson’s prospective chiropractors may be said to be treating specific symptoms or disorders for instance colic, but from a chiropractic perspective they are primarily treating spinal dysfunction or lesions termed subluxations. These may be a significant factor in many disorders apparently come from the spinal region because of bio-mechanics, specific pain and other altered neurophysiology. Research was done by a Dr. Nilsson a Danish chiropractor and medical doctor demonstrating 90% success rate for effectiveness of chiropractic treatment of colic in infants. Important neurodevelopmental change occurs in the early era of one’s life. The manner of support we give to them goes a long way in determining their health expression and well-being. 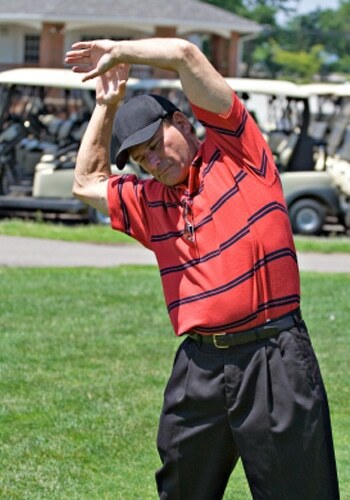 It is very rewarding to see patients reverse symptoms of joint disfunction. And the good news is we are able to do that. Call us today and lets get well! Thirty percent of visits to the medical doctor are for musculoskeletal complaints such as back pain, achy joints, and difficulty walking. The problem is that some drugs given for these problems, for example pain pills can cause disorientation and falls therefore a drug-free approach is a better alternative. With joint problems balance can be thrown off. This is called proprioception. It is how your brain receives messages from the joints in your body. By having joint function impeded, surrounding joints overwork, become inflamed, creating nerve pressure and imbalance. This can cause unsteadiness and falls. I see problems where low back joint dysfunction or lack of movement can overwork the hip joints causing them to wear out/arthritis. Very common are problems with pelvic imbalance creating knee problems. Alignment and joint function go hand in hand. Chiropractic treatment is a great alternative to drugs and surgery. It is a great choice in preventing problems. How you take care of yourself now reflects in your longevity and happiness. Many older adults don’t realize that chiropractic treatment can be gentle, comfortable and make a huge difference in their lifestyle. Falls are also a major concern in older adults. Did you know that falls are responsible for two thirds of unintentional injury deaths in older adults. Fear of falling affects confidence in performing daily activities, causing self-limitation and a less active lifestyle. This results in muscle atrophy and loss of strength especially in the lower extremities, which exacerbates the risk of falls. This all becomes a viscous cycle. The old saying “It hurts when I do this, Well don’t do that”. That approach is very limiting. I prefer the saying “Move it or lose it” Make choices that are based on maintaining your body’s function. Choices you make now will affect how you are in the future.